A good accounting firm does more than prepare the necessary paper filings and send them to you for your signature before April 15. For over eighteen years, Bordeaux & Bordeaux CPAs have gone the extra mile to provide accounting and bookkeeping services and customized, proactive guidance that helps individuals and small businesses pay less taxes, make more money, and have more fun! 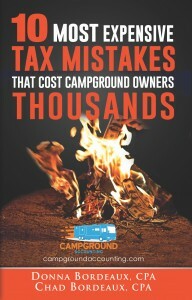 Now they are sharing their wisdom in The 10 Most Expensive Tax Mistakes That Cost Campground Owners Thousands. Through this book you will learn how to use proactive strategies to save on taxes. This book gives you a plain-English plan for minimizing your tax. We can’t predict how much tax coaching might save you. But clients just like you have used these strategies to save thousands, year after year. You owe it to yourself to make sure you’re not missing on any legal deductions. 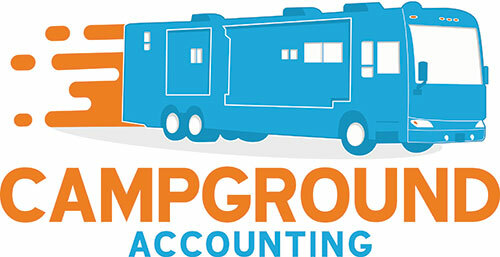 Chad and Donna’s CPA firm is a proud supplier member of the ARVC (National Association of RV Parks & Campgrounds) and focuses on providing services to this market niche. Their specific knowledge of the industry helps them provide very specialized services to help campgrounds grow their business and save money. 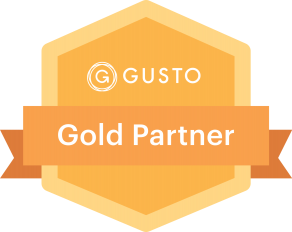 They work with campground owners throughout the country and help them streamline their processes to be able to spend more time doing what they love.